More than that, though, This Life is a social experiment that aims to change the world. The game designers, Jeff and Taruko Ross, are paying attention, looking for players they believe would be suitable to help a global revolution in real life using skills learned in This Life. Zhuli Cai and his team are just such players. On the other side of the world, biologist Miranda Carter gets an odd assignment from her mentor and dissertation advisor. She is charged with going to Utah to meet a grandmother she didn’t know she had and study a problem she is said to have with her eyes. Upon meeting her grandmother, Miranda discovers that there is nothing wrong with Bea’s eyes; indeed, she sees far more than most people do. It is this strange talent that interests not only her mentor, but powerful political figures, business executives, and people throughout the Mormon church. 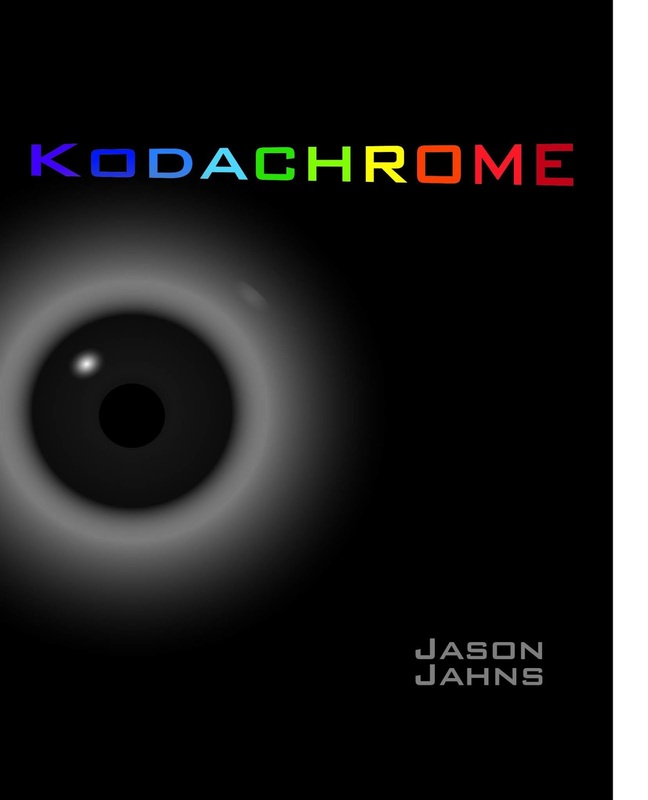 Kodachrome skips from character to character with each chapter, told mostly in the third person perspective. In Miranda’s chapters, however, the story is told in a first person perspective, as we are basically reading her lab notes (which rarely read like lab notes). This jump between perspectives throughout the book lends it a loose, unorganized feeling, without seeming to have much purpose to it. The novel centers heavily on topics important to anyone following or involved in Occupy Wall Street. In fact, I wondered more than once if this book was started before or after the protests began organizing. While the goals of the This Life revolution and the Occupy movement may be the same, though, they take somewhat different paths. The possibility of protests and war are mentioned numerous times, but the main actions in the This Life revolution are all played out in the video game, creating partnerships between everyday people (Skillz) and business owners (Stakez), while stock market movers and shakers (Specz) are off in their own little world, taking no notice of anyone but those more influential than themselves. Game designers Jeff and Taruko share their visions of the future with players, who learn the value of these ideas by trying them out in the This Life game. Once seeing it work in the game changes popular opinion about the importance of each person’s role in a capitalist society, it is only details that need be taken care of in many parts of the world before the lessons learned in the game are implemented in real life. Don’t let all of this talk of video games fool you, though. This not a cyberpunk novel. I am not even sure if it’s trying to be. In fact, while the basic plot does revolve around the video game revolution, we learn more about the history and inner workings of the Mormon church than anything. From the earliest founders on, the history of the church and scandals therein are detailed heavily, ostensibly because Bea and Miranda Carter are said to be descendants of Hyrum Smith, prophet and brother of Joseph Smith, by way of one such scandal. Having a natural fascination with religions, I did find this interesting, but it is not what one usually expects to find in this type of novel. Not only that, but I often wondered how relevant any of this half of the story line really was. Relevance turns out to be a bit of a stickler in Kodachrome. The author takes an exceedingly long time forming points and building characters. Once built, however, the author tends to beat the proverbial dead horse by adding annoyingly large amounts of irrelevant details. One case in point is the juvenile behavior of game designer Jeff Ross. He can be serious when he chooses to be, but the author takes such great pains to show us how fun-lovingly immature he can be, that readers must endure reading, in detail, how Mr. Ross not once, not twice, but three times moons the top executives of his company with an anatomically incorrect avatar in a single meeting. I would expect the intended point was made after the first mooning. Similar incidents continued to be scattered throughout the book without apparent reason, detracting from the story rather than adding to it. The storyline brings us details about some characters that make us wonder about their intentions and the parts they are playing. Whose side are they really on? Who is this mysterious person? By the end of the book, these characters just drop off, their stories completely forgotten, becoming more extraneous information serving only to confuse the storyline in general. The overall effect of this was to make the book feel amateurish and inconsequential, despite the potential of the idea it started off with. When I read a book for review, I generally like to find out as much about the author as I can. Knowing about the author of a book can bring more to the story, adding insight and giving the reader clues to the author’s intentions and meanings. Any number of social networking sites usually provides readers with an opportunity to learn more about the author, and in the best cases, even interact with them. Not so with Jason Jahns. He can be found neither on Facebook, nor Twitter. Google+ is a slightly different story, but all that is published under the name there is “wisdom” from various characters of Kodachrome. He has circled few people, and even less have circled him. Goodreads.com gives us a bit of an idea why this might be. It claims, unequivocally, “Jason Jahns, is a fraud...” It goes on to assure us, however, that although the author uses a pseudonym, his “expertise” is “very real,” even “considerable.” The Goodreads profile takes great pains to tell us what an experienced, knowledgeable person the author is, without ever letting us verify any of it for ourselves. One thing the Goodreads and Google+ pages have in common, is a Mr. Dan Baird. Mr. Baird introduces himself on Goodreads as the author’s publicist, offering eBook copies of Kodachrome to people who add it to their ‘to-read’ shelves. On Google+, Mr. Baird is a businessman, working for ConAgra Foods. I draw no conclusion from this here, other than to state that I do not believe what I am assured of by the Goodreads author profile for Jason Jahns. Kodachrome doesn’t feel like a book written by an established writer, even an established writer of nonfiction, as the Goodreads profile claims. Kodachrome feels like a first effort book that never even attempted to get traditional publication. It may have never even attempted more than a first draft, for that matter. I will assume the copy I received was an unedited ARC, so that I can skip over typos and punctuation errors as if they must have been fixed in a later version. I can only hope, though, that said hypothesized ‘later version’ would take care of the vocabulary issues, as well. We are all aware that underuse of a thesaurus can bite a fledgling author in the rear. In Kodachrome, it is overuse of the thesaurus that poses a problem. At times, characters suddenly take on a pompous stance, using words rarely used in anyone’s everyday conversation. Most of these words are archaic or otherwise somewhat obscure. Sometimes they are appropriate (though unnecessary). Other times, while the definition certainly fits, the word is used in a way most people do not recognize it as usable, such as describing a grant as “sumptuous.” The definition certainly fits the point being made... but generally, the word is reserved for conversations about food or other tactile decadence, rather than a large sum of money. Most of the time, though, the conversation is that normally expected. Then again, the characters will make a point to ‘dumb down’ their choice of words for someone they deem ‘less learned’ than themselves, but in a strange twist of irony, the words they choose to replace are usually quite common, such as using ‘event’ in place of ‘stimulus.’ At still one more point, Zhuli “glimpsed” something put over his head. If something is put over your head to the effect of limiting your vision, it is itself the only thing you see, and you therefore get more than a glimpse of it. I am certain that all of the big-money words were looked up with the sole purpose of making the characters—and perhaps the author himself—seem more knowledgeable than he really is. They don’t fall into everyday conversation often (if at all), and they don’t work here. I found this idiosyncrasy to bring a certain feeling of insincerity to the book that could not be overlooked. At the outset, I was excited to read Kodachrome, but it disappointed me almost every step of the way. Its sociopolitical points are completely lost in the insincerity of the characters, the awkward flipping between perspectives, the sheer bulk of main characters, and the completely extraneous rubbish that should have been cut after the very first draft. This story could have been a fantastic springboard of ideas for the Occupy movement and its sympathizers, but it simply doesn’t live up to that potential. Should Hollywood get wind of it, though, I would love to see what a good screenplay writer could do with the basics of it. That could be a beautiful thing.